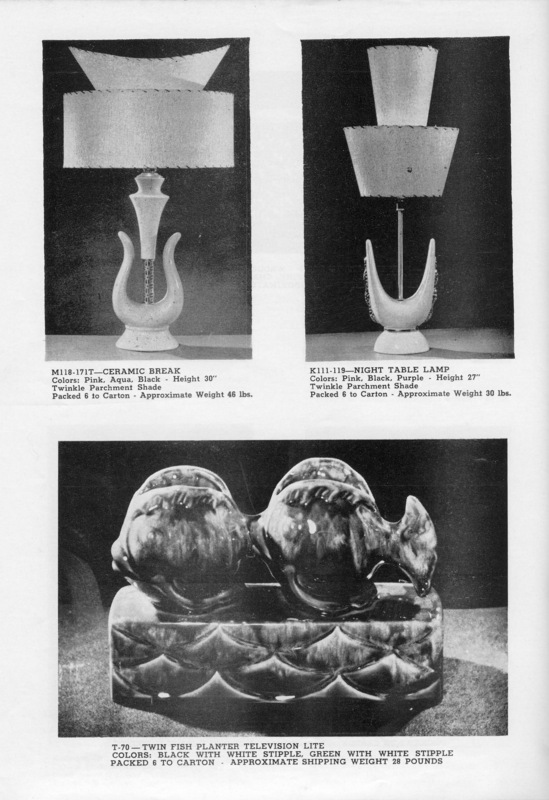 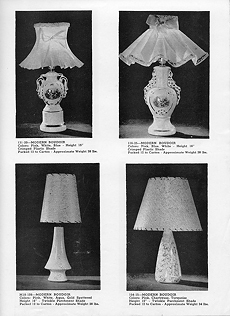 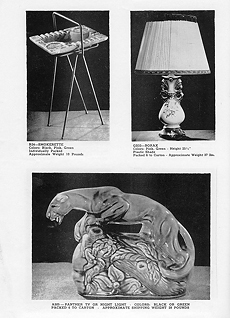 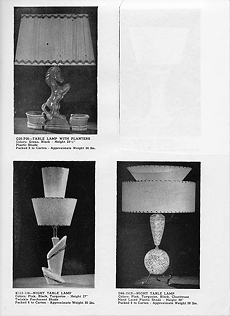 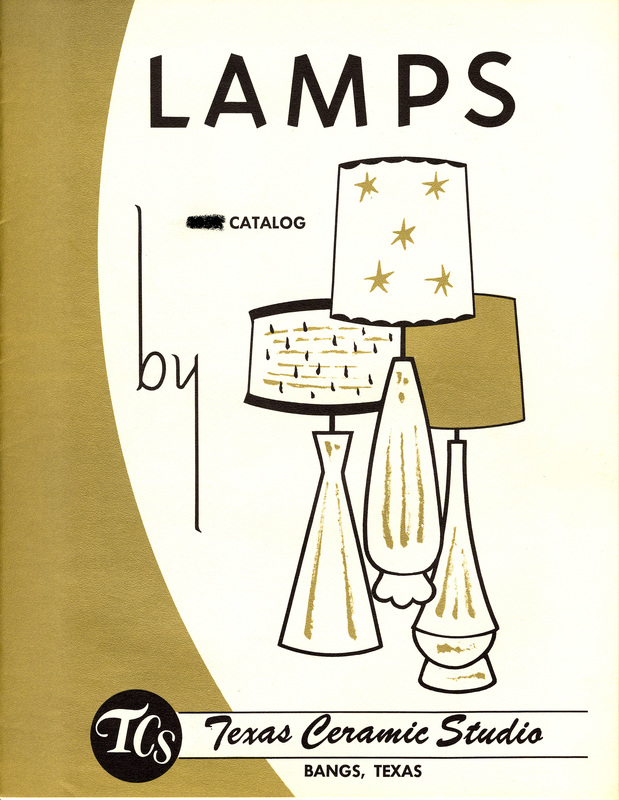 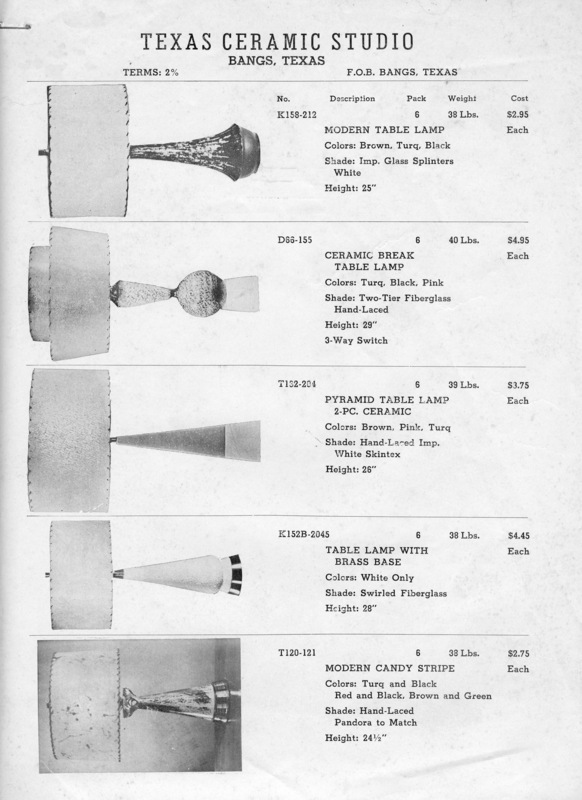 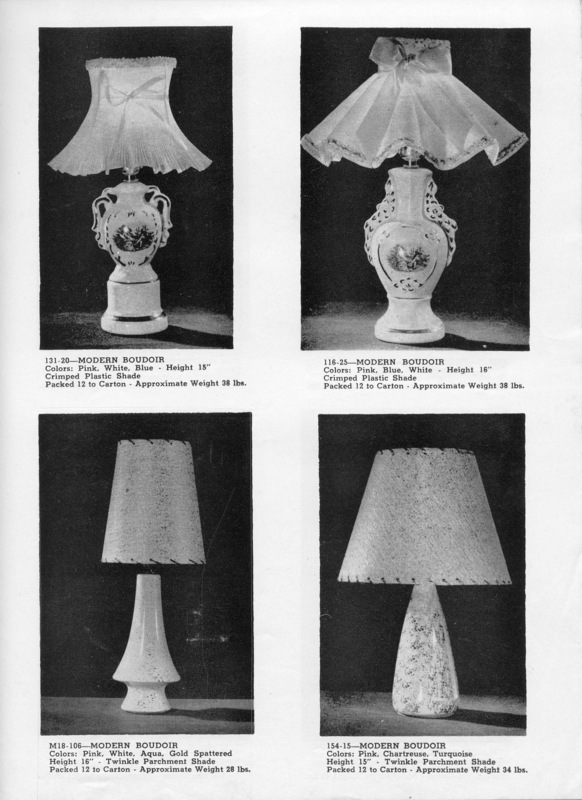 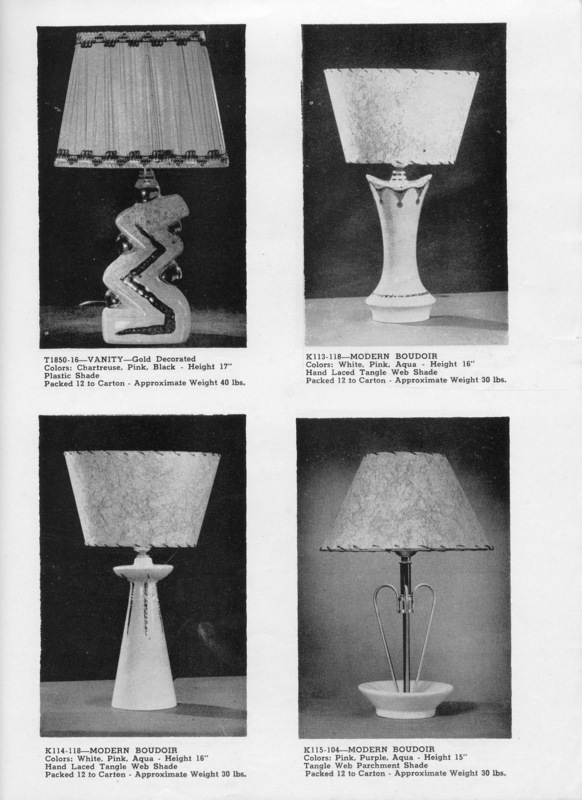 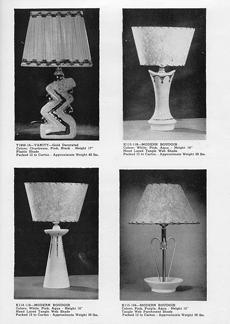 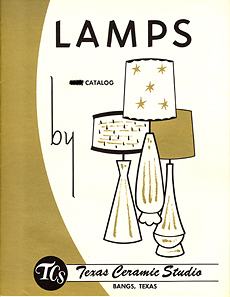 The top two lamps represent the sort of styles made in the early, Mar-Lita days. 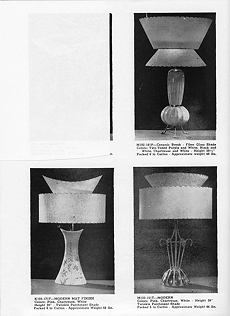 The TV lamp/planter at top is similar to some marked Harlaco, but subtle differences exist. 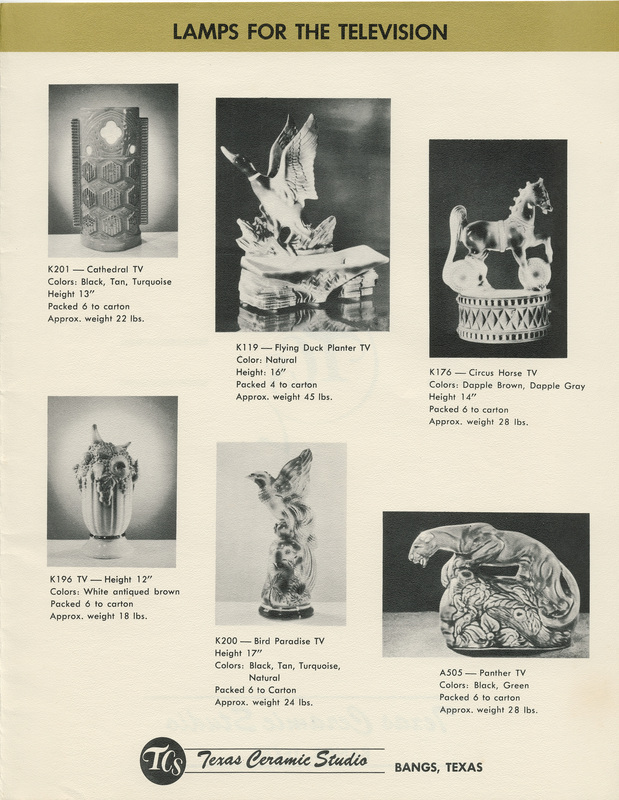 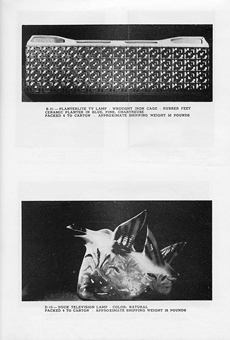 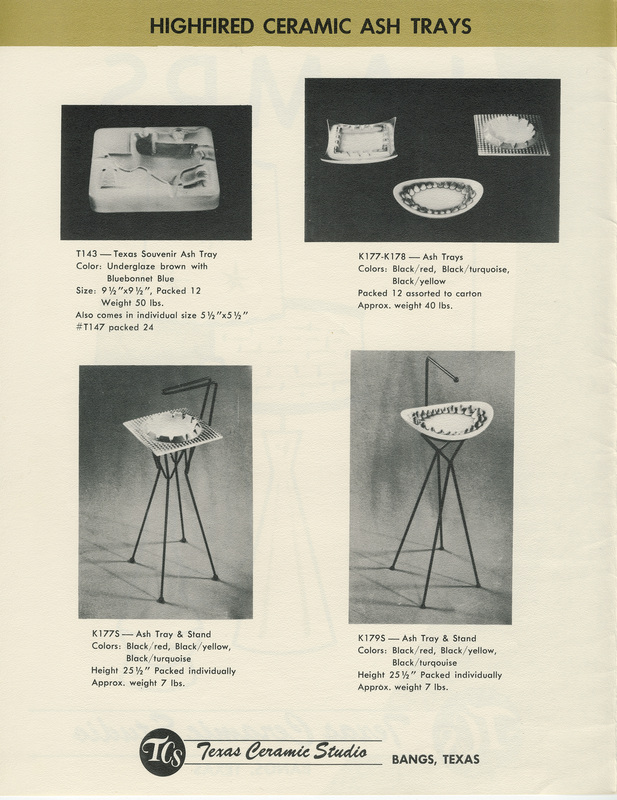 The fish TV lamp is identical to one from American Art Potteries in Morton, Ill., except for the number of waves! 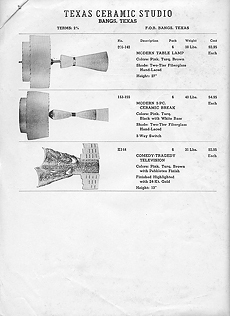 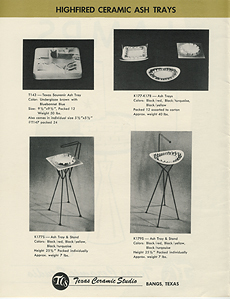 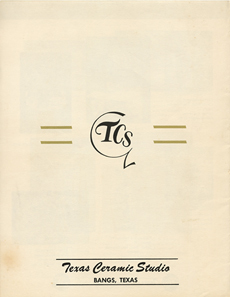 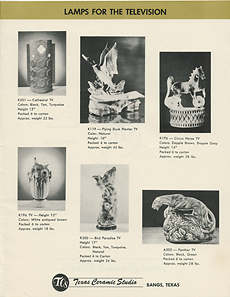 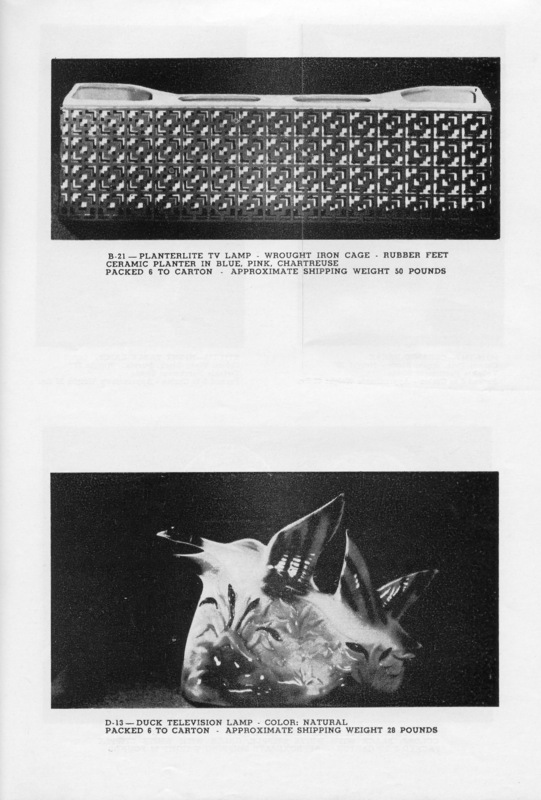 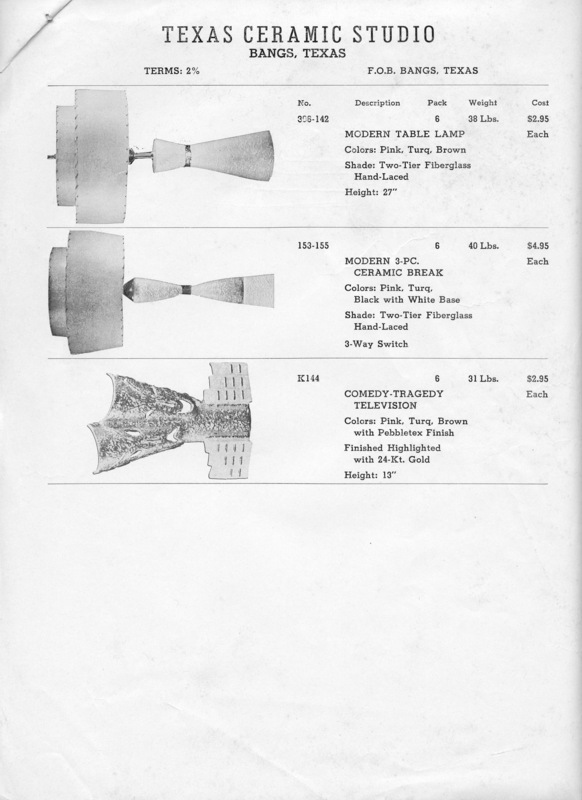 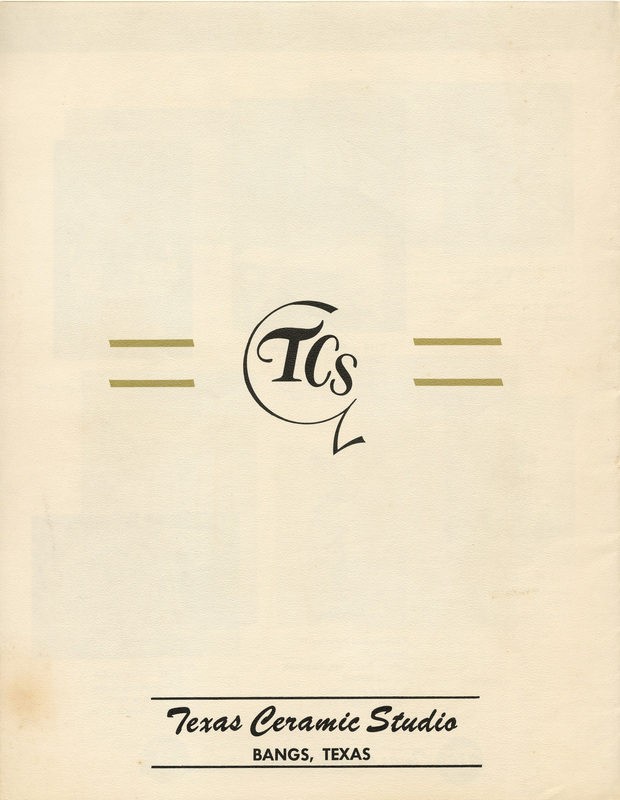 Front cover of a folder for holding the catalog pages. Interesting ashtray collection. 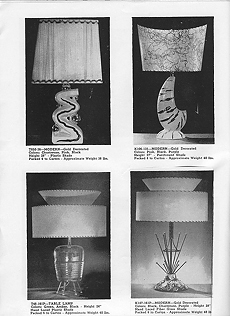 Top-left designed by Floyd Thomas, the others by Howard Kron. 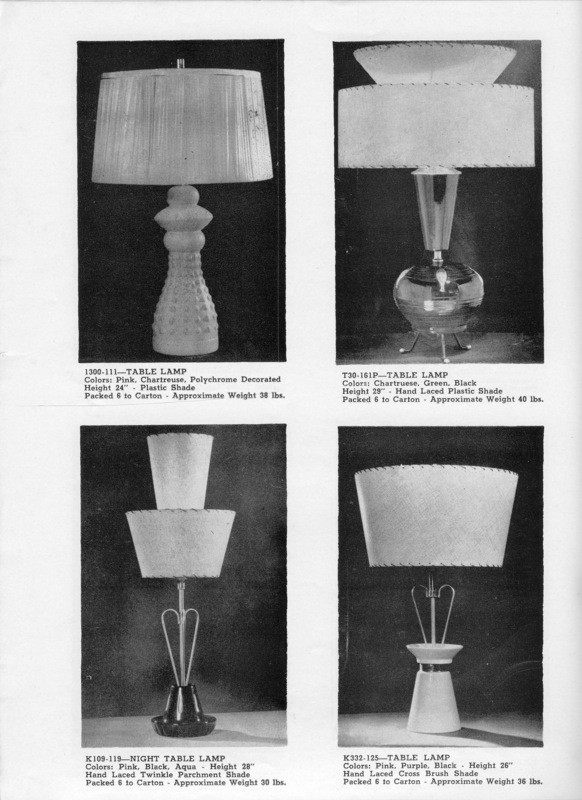 A great collection of TV lamps, including the ultra-rare (no known examples exist) Cathedral TV lamp.